Modeste, Brenton and Edgar are fully accepted. Happy typing! Physical Description: An impressive figure, this errand knight posseses many scars onto her muscular body, sanding out onto her slightly tanned skin, Sieglinde has always been different from her brothers and sisters. Her green eyes are warm and her face delicate; or at least, formerly so, a long, deep, diagonal scar going from her chin to her forehead. While it does not disfigure her, it does show the implacabale, stalwart warrior whom hides beneath it. She has very long, darkly red hair (while not crimson red, it is several shades deeper than just gigner), whom she keeps in a braid when she wears her helmet. She prefers to keep the visor raised as to make others more comfortable around her. Attire: The base plate armor from the Darkest Dungeon crusader class, the cloth a crimson red, and instead of the cross of malta, a roaring lion. Her helmet represents a lion’s head too, her family’s heraldry. A mail hauberk is worn underneath, along with a gambeson in order to absorb bows impact more effectively. When she is feeling safe enough to remove her armor, she wears a black and red tabard, along with a brown cloak. Sieglinde wears her royal purple scarf over her armor and when she is casually dressed too. Synopsis: Sieglinde is the last surviving member of a cursed bloodline, condemned to live in the shadow of their former glory. Having wandered all of her life to fix the mistakes of the rest of her family in foreign lands, she faces her last challenge; cleanse the honor of her family where it has been sullied the most. The Darkest Estate may have claimed her brother’s life, but he still had much to answer for. And so the eternally wandering knight sets for her last journey, and, by far, the deadliest. Full: The Trask family is a noble bloodline, posessing a rich history and an honorable reputation. This all changed when a civil war broke out and the patriarch of the family resorted to terrible needs to maintain his rule. Necromancy and dark magic was employed by the man, and the repression was merciless. He even cursed his own family, branding them mentally and physically with an icon of sin; thus cursing his entire bloodline. In the end, the resistance ended up winning, with his own son using his terrible powers against him. The war left the kingdom in ruins, and so the Trasks who did not flee exiled themselves. Some of them left for the Great West, others to the territories of other empires to put their skills to work. But soon, almost every one of them brought trouble upon the lands they lived in, and were either killed of by their hosts, or gained too much power. In this case, a knight clad in crimson tabard and plate would come, swiftly kill the evildoer, and leave just as quickly as she arrived, cleansing her family of the seven deadly sins. This knight was Sieglinde Trask, a member of the bloodline determined to end the curse of her kin in the most direct way. After she slew almost every single member of the family, she heard of rumors of one of her family members going to the Darkest Estate. Leaving hurriedly to end her task, she was too late; the culprit was already dead, and he had the time to be a serious nuisance. Seeking to right his wrongs, she remains to help the Hamlet and its folks. Misc. Notes: Sieglinde is very polite, and speaks in a smooth voice that belies her scars and her gentle tone, her germanic accent however thick enough for her to be forced to repeat herself sometimes. She prefers to seek out the company of others, viewing loneliness as a terrible thing to befall her, as it could give her the too much time to wander onto existential questions. While she is disdainful of faith, it does not mean she holds all worshippers in contempt – far from it. Her armor and her way of talking speak of a proud, noble legacy. Her most prized posession is a white rose from her home, kept protecte in a huge bottle made of a particular type of glass from her homeland, tough enough to resist falls and the like. Weapons: A battered greatsword, worn from age, and yet showing inscriptions and her family’s sigil, along with the banner of the Lion, her family’s crest. Armor: The base plate armor from the Darkest Dungeon crusader class, the cloth a crimson red, and instead of the cross of malta, a roaring lion. Her helmet is this one. Other gear: Her family’s crest hang onto her chestplate, right next to the right pauldron. Two scrolls hangs from her shoulder; her name and legacy along with her will are written down upon it should her body be recovered. Strengths: Sieglinde is a kind person, and this trait shines through. While her duty is to repair the damage caused by her family upon the Hamlet, she wil go to great length to ensure the safety of those around her, no matter the cost to her own life. This kindness is tempered by a certain disdain for worshippers of the Light, considering them the cause of her family’s curse. She is a stalwart defender of the great idea of Mankind, and so she is opposed to religion in general, as it limits the potential of humans, such as scientific progress. A good way to describe her strength is that of a wall standing in the path of danger; taking damage for others and retaliating with extreme prejudice. Weaknesses: While her kind and caring nature is somehow appreciated in other lands, it might make her a liability in the Darkest Estate, as the majority of the people fighting are interest solely by personnal gain or fanatical belief. She is also unwilling to ever compromise, even in the face of insurmontable odds; thus, she is considered suicidal by others, even moreso than the other knights serving the Light. Her family is a hard spot to touch, as she is greatly ashamed of their actions and wishes only to restore the name of the Trasks into something that can be looked upon with pride once more. But her greatest weakness is something whom stains her honor; she is still as cursed as the rest of her family, marked by Lust. While she wrestled away Lust for power and gold long ago, she never managed to conquer the flame who keeps consuming her, ashameful need, whom causes her to lee throwing away all of the money she ever earns into the Brothel to satisfy her ravenous hunger. When she is left without a mean to let her stress out in such a way for a while, she becomes twitchy, stressed out, and overaggressive. Sieglinde looks solid – she is temporarily accepted! That means you’re free to post in the main thread, but forbidden to go on expeditions as the other mods are still reviewing your CS. Hello members of the DDRP! I’m extremely sorry if I’m interrupting something, but just wanted to ask a question. I know new members are both welcomed and encouraged to join, and I also understand that the characters for this RP are meant to start at a beginner level, but I was simply curious about whether or not a character of a higher level would be considered for approval. I admit my creativity skills are not great, but I attempted to make an interesting character following the rules of the RP (besides gear and resolve level) in order to see whether or not it would be accepted. I do not expect to be admitted into the RP, yet I am curious about whether or not my character has a chance to be allowed. Attached is my attempt at creating his character sheet, please let me know about how the admins/community feels about this (and feel free to mock either my character design or my poor attempt). Thank you for your time, and Happy Hunting in the depths of this chaotic ruin. Physical Description: An absolute monster of a man, barely contained by his scale armor. Easily stands 6 and a half feet tall without the help of his boots. The only part of him not covered in armor are his red and bloodshot eyes, due to many prior years drinking and cavorting with his fellow heroes of old. His feet, hands, legs, arms, and torso are rippled with muscle (visible through the armor due to how easily it molds to ones body shape). Any hair of his has fallen out years and years ago from the stress of his occupation and revitalization. Synopsis:Stormbjorn, also known as Bjorn the Bear (by reputation), was once a roaming bounty hunter filled with a lust for blood matched only by his lust for gold. Spending the night in a bar, he overheard talk of an estate heir who was hiring men and women to help put an end to a family secret. After weeks of traveling, he came across the Hamlet and immediately passed out from hunger and an overstrained body. He was revived and healed by a Vestal who could not bear to see anyone in such a state. Bjorn vowed to protect her for the rest of his life, even sacrificing it if need be, and the two became life-long friends (and eventually lovers) nigh immediately. After succeeding in a few small missions together, Bjorn caught the eye of the Heir, who asked him to leave the Vestal behind in order to join an elite team of 4 and put an end to some great evil. Before joining said team, Bjorn went on one final mission with the Vestal, just the two of them, claiming that he alone would be able to protect her from the horrors of the dark. They both died in those ancient ruins… bloody and torn by tentacled horrors of the dark… Yet the Heir took ‘pity’ on Bjorn, returning him to life in hopes of finishing what he started. After gifting him with the legendary armor and tools of a true Bounty Hunter, Bjorn was sent with 3 others into the Darkest of Dungeons. 2 were ripped to shreds immediately, the last sacrificing himself in order to give Bjorn a little more time to escape. He ran, and ran, and ran… until he could run no longer. 20 years have passed, and now this tortured soul has returned with a vengeance to finish his original quest and give his now-dead love the resting place she deserves. Misc. Notes: Responds to Bjorn or Stormbjorn, any other title is useless to attempt. Can speak, but takes extreme effort and can take up to 10 minutes for a full response. Any attempts to question him about his past will result in a hateful stare that would weaken all but the strongest of resolves. "We're all made from the same stardust. We're all going to live and die on the same planet - a pale blue dot in the vastness of space. We have to work together." Apologies I meant to post this meme on reddit! It’s important to remember that this RP is a matter of community; no one is obligated to interact with your character and, if your character is generally offputting with a “hateful stare that would weaken all but the strongest of resolves.” or otherwise unsavory to be around… Well, expect to RP a character that is avoided. -You cannot start off at a higher Resolve level than 0. Period. -You cannot start off with overtly powerful relics/trinkets. –Personal affects or items that grow to be powerful are more acceptable and infinitely preferred. -Avoid overt and extensive ties with the Heir and especially the Darkest Dungeon itself. -Resurrection is practically unapplicable to fresh characters. Or privately thru PM’s or Steam, or here. Though Discord is probably your best bet: as you can join it in browser and without making an account, giving your instant chat access to us :D.
Tall and lanky, with (very) lean arms and legs as well as rough hands. Medium-length blond hair with large green eyes. Small scar on the corner of his nose with a deep gash cut into his cheek. Both his arms and legs are littered with small scratches akin to those left by holly. Packed neatly in his satchel is a suit of miners attire for daily wear, and a more noble outfit (consisting of a silken shirt, velvet pantaloons, and a belt made of rare leather) for special occasions. Slugger: time spent with the family police force led to lessons on special tricks of the hand for a more powerful strike. Born to a wealthy family, Ludo accidentally killed the mining facility’s Chief of Police when he beat and abused Ludo’s dog, Rose. Not fully understanding what he did, Ludo escaped his family manor with a small satchel of supplies and the Chief’s special dagger. Full: Marquis de Ridley, of the enormously wealthy Ridley family (owners of Ridley Iron: Mining Company), was raised more by his nurses and tutors than his own parents. 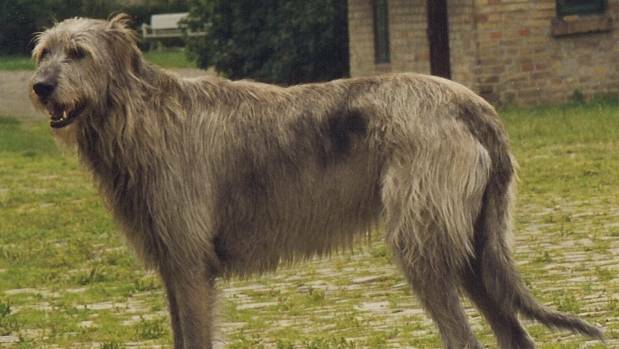 This neglect led him to wander the estate with his wolfhound Rose on many occasions, even going so far as his father’s mines. The police force of Ridley Iron took him under their collective wing, showing him the operations as well as their training tactics whenever possible. Though Rose was from a litter of security dogs, her tendency to take and eat human food got her into trouble more often than not with the faculty and police of the business. One day, after Rose took yet another one of his specially made meals, the Chief of Police began beating Rose near the edge of a mineshaft. Hearing his pet whimpering and crying in the distance, Marquis ran into the Chief, pushing him as far as he could go before falling into empty space. The impact shattered the Chiefs bones, killing him instantly, but Marquis suffered only minor scratches and a sprained ankle. Not knowing what to do with the dead body, Marquis took the carefully-secured dagger of the police chief, along with his brutally spiked blackjack, took Rose by the collar, and sprinted back to the manor. Knowing the rest of the police would eventually find the body and link it back to them, Marquis stuffed one of his suits as well as a miner’s outfit into a satchel along with the dagger and a small sapphire and some gold from his family inheritance. He was apprehended while changing into one of the policemen’s sets of gear, yet escaped into the forest thanks to Rose’s minor training. After running for weeks, and half-starved due to the coin only lasting so long, the now-renamed Ludovico and Rose arrive at the Hamlet’s brooding gates. The scar on his nose can sometimes muddle his vision. Damage dealt to his dog can result in moments of blind anger (though it barely helps). Very shy around women, especially prone to stuttering and stammering. Armor: A Blue Leather Tunic, tattered and torn from what appears to be stab wounds, slashes and teeth. The remains of a dark yellow scarf, faintly scented of blood and sweat. Blue Leather chaps covering silk pants which are torn to shreds as well. Iron-toed boots, remarkably clean despite days of travel. Strengths: Somewhat commanding aura, despite his gangly stature and naive nature. Can hold his own against enemies similar to him in strength and size, but struggles against larger foes. Somewhat resistant to mental attacks. Weaknesses: Though his manners are mild and he has been raised with style and grace, he is not too bright and suffers severe headaches from time to time (especially after drinking). Clumsy with ranged weapons and stumbles over words occasionally. Temporary acceptance is just a means to greenlight characters from one mod; a la myself. Physical Description: His long black hair runs down to his shoulders, messy, unkempt, as if it had never been brushed at all. He has dark blue eyes filled with lively joy and curiosity. At a height of 5’6, Adonis’s build is lean, with no scars or marks on him to speak of. He is the pinnacle of health, more than above the average, but not superhuman. Attire: Clothes are black in color, cotton in construction, with floral patterns spread across a vest. The buttons running up and down the lappels on it were a single set of white, ivory in make. Plain black dress pants were also black with shoes to match and socks as well, both black and made specifically for his body type. He had a cane in hand, his clothing incredibly fancy in all terms of the word. The gloves were an exception of his color scheme, as they were white, made of a combination of silk and leather. If there was anything truly unique about him, it would be his mask, one that covered the lower half of his face just below the nose, curving upward as it traveled backwards to his neck helping it hold in place. The design was ornate, like his vest, had patterns of flowers on it, all of them colored yellow while the mask itself was, once again, black. Steady- He’s calm, collected, even in the darkest pits of hell will he keep focus. Mercurial- As much as he can be calm and collected, he can be angry and violent. No one though, will know when he’ll act one way or the other. Synopsis: Born in Paris France, his mother died soon after she birthed him. His father, a man of the church saw this as a sign that Adonis was special and brought him up in faith. Adonis, although faithful loved science and became invested in it. He left Paris for the Hamlet, a place where he could expand his scientific and faithful mind and gain his own fame. Weapons: A dueling knife and toxic grenades. Other gear: A brown satchel. It was large, having a gray cross on its side while being itself brown, laced with gray chainmail. It held an assortment of medical devices, from scalpels to knives. Strengths: His intensive knowledge of both medical practices. With his heavy faith, it’s harder to stress him out than others. He is also very charismatic, and has a way with words to get what he wants. He is not a fighter, but is still capable to last in a fight, using tricks and speed to his advantage. Weaknesses: Very prone to get carried away in faith, clouding sound judgement and resorts to violence more often than not. He may seem like a gentleman, but it doesn’t take much to anger him and loose his friendly disguise. Doesn’t know when to stop, will go overboard if he’s set on a prize. Physical Description: Average-sized, lean build. His most notable features are his hazel eyes and distinct lack of facial hair. Attire: The traditional black kimono of the Fordragoon monks along with matching clothes and a pair of sandals. He also wears a cloak above his garments, usually with the hood on in order to protect his bald head from the eyes of others. A small bag filled with steel marbles at the right of his waist is held by a strap over his left shoulder. Two pairs of simple tanned black leather guards, one for his arms and the other for his legs, provide extra protection. The only trinket in his possesion is a small, cyan crystal pendant hanging on his neck which he usually keeps under his kimono. Misc. Notes: His voice is surprisingly melodious and pleasant, something which had him compared to a woman on multiple occassions by common folk. His scent is nothing too special, mainly of fresh air and mud. Armor: Arm and leg guards. His kimono is also made out of reinforced material. Other gear: Three scrolls kept in a pouch behind his back. The Scroll of Wisdom, which words can bring the Light’s wrath down to blind an enemy, the Scroll of Truth which serves for relieving the stress of others, more so for those of religious nature, at the cost of the user’s sanity and finally, the Scroll of Knowledge, which can offer a great deal of insight upon the many creatures lurking in the dark, although usually the receiver will learn on his own that “Ignorance is bliss” soon after. – When he’s in great distress, his past haunts him, making him rather… unreliable. And borderline suicidal. – His technique requires striking certain weakpoints which he can only find in humans, or human-like creatures, leaving him the only option of just repeteadly striking other types of monsters. Temporary acceptance for: Adonis, Shoru. Keep in mind temporary acceptance only allows for people to post in the main thread. Your sheets are still reviewed by other mods. Mainly of English ethnicity, however mixtures of German, and French features can be seen. She originates from the Kingdom of France, yet her mother and father were born in England who had moved to the Kingdom of France, hence her ethnicity mainly being English. The father retains a English and Polish side, whilst the mother retains a French and English side to the family. Defined and toned from battle, harsh soldier training and miltary upbringing. [*]A finely crafted, beautifully made Longsword. The pommel is made out of a dark, but strong steel. The grip is wrapped in a tough leather, the handguard made out of Italian steel and coated in brass. Finally, the blade itself is made out of italian steel, refined and convexed. [*] An alloy of aluminium + steel casted and moulded in a forge to fashion a flanged mace, the grip made out of a dyed, high quality leather, the metal shaft twisted, and of course, the head of the mace is flanged, appearing quite heavy. [*] A small, dwarve forged dagger, a gift from her father. Tends to wear casual noble attire, but not of incredibly high value. She dons a silk shirt, coupled with a richly made hazelnut noble jacket fashioned from a high quality leather. Maria dons thin, brown leather gloves usually, since she likes to keep her hands concealed and warm, not to mention the added friction to get a better grip on her longsword when she needs it. She tends to wear silk pants, often black, yet she does wear a leather skirt above that, studded and tough, to provide some defence. In her entirety, she has equiped a full set of plate armour, fashioned entirely out of a beautiful italian plate, slightly grayed by a top quality forge. For the head piece, Maria utilises a Sallet with a metallic comb atop of the helm. Near her neck, she has a Gorget, with less plating in order to make up for maneuverability and comfortableness. On her chest area, the shape is slanted on her abdomen, whilst on her upper chest it remains slightly acute in terms of degrees. Her pauldrons don’t stand out, but they’re there, and they are partially ridged and thick. 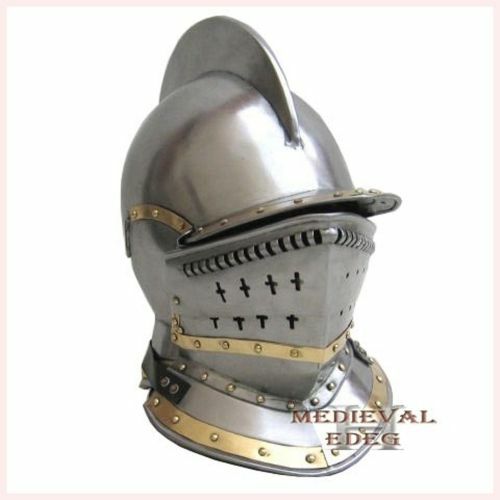 The greaves are like the Gorget, in terms of attributes that is. The sabatons are shaped like a boot, with the end of the sabatons becoming ridged with a spiked comb on either sabaton. An armoured steed, adult, and healthy. A veil of plate and scale drape the horse, making it a heavy, organic tank. The plate veil is fashioned from thick strings and constant forging, the plating itself is ridged, meant to deflect weapons, especially bladed, along with arrows. -The Black Cat [Bad luck seems to ravage this woman, in violent and cruel ways than anything else… her scars, both mental and physical remain proof of this fact. A kind hearted woman when faced with civil company, tends to be neutral when facedc with strangers or unique races such as the Gnolls or Saurians. Yet her demeanor will shift when faced with conflict, often appearing stalwart, reliable, courageous and powerful. She does not back down in the face of death, she rides in, with horse galloping and sword held above. Surprisingly, she seems to become more giddy than usual when faced with more interesting matters, most especially; Romance. It makes her heart flutter thinking about it, yet to even think of pursueing such a thing gives her anxiety, and so she doesn’t… unless it’s just far too tempting not to. Overall, she can be good company, as long as you pay your respects, and don’t mention her past unless permission is given to mention it, or anger her in any means. Little is known about Maria, despite her popularity and status within the kingdom of France. Most of it, she keeps to herself, and usually kills those who try to find out without consulting her about it. Yet, some facts slip through subltle cracks. In her Childhood, in a small village that resides within the Kingdom of France, her father was a noble and so was her mother. House Turadem was well known for its abuse of peasants, exploiting them for profit, and so that led to Maria being bullied, and in some cases, assaulted by other children. This happened for a good amount of years, until those children grew of age, and were hung for doing so. Yet the scars of her childhood still curse her to this very day. When she was a teen, her father was curious to find suiters for her, for the sake of keeping the bloodline intact, yet she wouldn’t let any of them sleep with them. Most of them were perverts, others old and haggard. None of them found her fancy, and one time, a suiter decided to attempt to force himself onto Maria… which led to, vivid disembowlment on Maria’s part, and the removal of a man part. Glory to France. Long live the Queen.